Increase workflow and brand capability with your own self-service marketing portal. 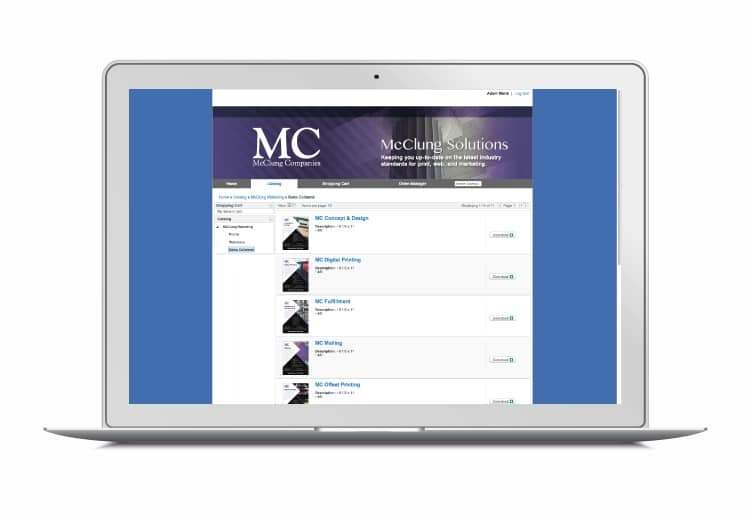 McClung’s online storefronts provide companies and organizations with a more cost-effective and user-friendly solution than traditional printing. Storefronts are the most innovative and sophisticated way to reduce print cost by managing inventoried items and variable templates for print-on-demand output. These stores work well with print, wide format, promotions and apparel items.